This summer, I’m going to turn 60 years old. However, although I have one foot in the grave, I’m pretty darn healthy. Most people don’t think I look a day over 58. Thanks to good food, good healthcare and good ukuleles, I’m doing pretty well and I have no doubt I’ll continue strong until I’m at least 61. But, I’m an American so I have certain health advantages. While there’s no guarantee something catastrophic won’t happen to me, my chances of living to 61 and well beyond seem pretty good. However, if I were Ugandan, things would look quite a bit different. Actually, if I were Uganda, I myself would look quite a bit different, but I digress. As for health, I probably wouldn’t have lived this long if I were Ugandan. I wouldn’t have had as much access to good food. My water supply would be contaminated. 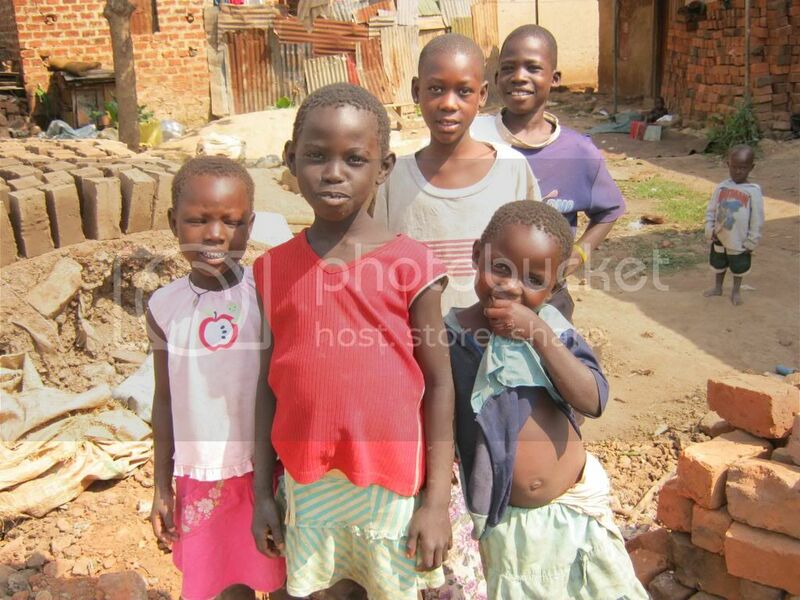 My friends would make fun of me for being old, because in Uganda people normally don’t live as long as I’ve lived. This is, of course, assuming nothing catastrophic happened to take my life when I was a child. Because mosquitos are plentiful and malaria is prevalent, and because my family probably wouldn’t have had the $5 for a mosquito net, I would have had a good chance of dying from malaria before the age of 5. If I lived past 5, and if the typhoid from drinking contaminated water didn’t take me out, my immune system would have become so weak from bad nutrition that a simple case of the flu would have had a good chance of killing me. Of course, there are many other, more bizarre, illnesses floating around Central Africa. But malaria, typhoid and malnutrition alone are enough to bring an early death to hundreds of thousands of people in Uganda and throughout Centra Africa – and it’s all easily preventable. It doesn’t take that much money, or that much time to make a big impact. It does, however, take focus and commitment. For 15 years, Loving One by One has been committed to providing simple, yet life-altering healthcare to children and adults in Uganda. So this is Reason #4 for me to go back to Uganda…. Health. While I’m there this summer, our team will see thousands of Ugandan men, women and children suffering from malaria, typhoid, various infections, burn injuries, various types of cancer, HIV, and many other treatable health issues. We’ll pull up in our big bus driven by a crazy man named Henry, and we’ll unload our stuff into buildings in slum areas, and turn those buildings into medical clinics for a day. We’ll provide free exams and medications, and just for fun, we’ll throw in reading glasses. And once in a while, we’ll run across people like Franco in the above photo. Franco’s legs were severely malformed, and we were able to provide surgery and physical therapy for him. Franco now runs and does all the other crazy things kids are supposed to do. Not a bad deal for $700. If you’d like to help support my trip to Uganda this summer, which will directly impact the health of thousands of people, please contact me at charley@charleymiller.net. Or, if you’re in the L.A. area and if you’re free this Sunday March 31st, you are invited to a free concert (with free tacos throw in). Contact me about that info as well. I’m not a big eater, nor a big person, but food plays a big part in my life. Meaning, I need to eat, just like everyone else. And if I don’t eat somewhat regularly, I get grumpy, kind of like a toddler. This past year I learned to cook better, and we’ve been known to make some pretty good meals at our house. We’ve also made some pretty good meal attempts, which didn’t always pan out (HA – get it? “pan” out). Anyway, food is a big deal for me. Along with the word “food” comes another word – “options.” Like many or most Americans, if I don’t feel like eating what’s in my pantry or refrigerator, I can go to the store and buy something else and cook that instead. Or I can go to a cool cafe on the beach, or Burger King, or In & Out, or literally a hundred other places within minutes of my house. Almost every Saturday morning, I go to the bagel shop. For something that plays such a big role in my life, “food” is really never a serious problem. But, I’m not a Ugandan mom. I’ve never had to choose which of my children gets to eat today, and which ones have to wait until tomorrow. My child never had failing grades in school because of being hungry. When my daughter was a baby, she never developed any life-threatening illnesses due to malnutrition. But it’s quite a bit different for millions of Ugandan families – there’s not a supply of forgotten food in anyone’s pantry, most don’t have refrigerators (or electricity), there’s no In & Out Burger nearby (the horror), and the struggle to just put something, anything, into a child’s stomach can be overwhelming. Fortunately, Loving One by One is able to help many families in our local community with our Nutrition Program. When we discover a starving child or children, we immediately get involved with the family to see if they are willing to let us help. We deliver food to the family, and make weekly visits to ensure the food is being used. We take malnourished children for treatment with a local clinic, and sometimes we bring malnourished children to our home to provide nourishment until they are well enough to return home. The little girl in the photos at the top of this post is Elizabeth, a girl we found in our community in the summer of 2016. Elizabeth and her twin sister Maria were around two years old at the time, but they each weighed the amount of a newborn. Along with other severe disabilities, Elizabeth was blind in both eyes. The photo on the right is Elizabeth when she came to stay with us; the other photo is Elizabeth six weeks later. She has since been returned to her home, under the supervision of an elderly woman in our village (Elizabeth’s mother has not been able to provide much care). We have been following up with the growth and development of both girls for the past three years. They will continue to have a challenging life ahead – but they’re not alone, and as long as we’re in the neighborhood, they can count on us. 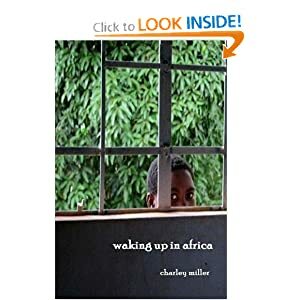 If you would like to support my work in Uganda this summer, or would like further info on the work of Loving One by One, please contact me at charley@charleymiller.net. I used to be a more enthusiastic blogger. But I’ve gotten older (as has everyone), and I’m finding it takes a bit more to get me to put forth the effort to write posts. One thing that always motivates me – come on, say it with me – Uganda. This summer I’m returning to Uganda for what will be my 5th trip there, to serve once again with Loving One by One. Five times is a lot to go anywhere, and Uganda isn’t exactly Maui – so why would I want to keep going back? Well, since this is the fifth time, and I need to write blog posts, I thought I’d write five blog posts telling you Five Reasons to Go Back to Uganda. Reason #1: It Shouldn’t Be this Hard for Kids. But in Uganda, it is very hard for kids. Not every kid gets to go to school; just maybe the one or two in the family who the parents (usually the mother because dads typically don’t hang around) feel has a decent chance of doing well in school. Most kids who do start school, don’t finish school. Not every kid eats every day. That’s another decision a lot of Ugandan moms have to make – which kids eat today, and which ones wait until tomorrow. The water is full of bacteria, and one of the unpleasant byproducts of that water is a nasty little intestinal parasite, affecting 100’s of thousands of Ugandan children. Then there’s malaria. Lots of it. Malaria is the leading cause of death in Uganda, and approximately 13% of Ugandan children under 5 years old die from it. But it shouldn’t be this hard for kids. That’s one reason I’m going back to Uganda – all these problems are fixable. Loving One by One successfully treats children (and adults) for malaria all the time. We provide food for many families in our local community. We provide deworming tablets to effectively treat intestinal parasites, which then allows children to be better nourished from the small amount of food available to them. And, we provide a free K-8th education for children in our community. It shouldn’t be this hard for Ugandan kids. So Loving One by One is doing something about it, and I’m happy to help. This summer, I’ll be in Uganda for a month, helping with all these problems. If you’d like to help support this project, I’d welcome your support. Today is January 1, a day which only comes approximately once a year. It’s a day to sleep in, get up and have breakfast at McDonalds, go look at the ocean, put a beef stew in the crockpot, and reflect. Reflect on the previous year – which only seems like yesterday – and hopefully turn some of the events of last year into teaching moments. What important lessons did I learn in 2018? Lesson One – Stop With the Paprika. 2018 was a year I learned more about cooking, which was good news for me, and for my daughter who lives with me. We both became more experimental in the kitchen and cooked a lot more, and some of that food was actually good. But a glaring reality stared me in the face this morning as I was putting together the above-mentioned beef stew… I have at least four containers of paprika in my pantry. Oh sure, one of them is smoked paprika, and so it’s good to differentiate that one. But there are at least three – and possibly more like seventeen – containers of identical paprika in my pantry. One of them is the giant size, about the size of a super big gulp. It’s just too much, and obviously I’ve gotten a little careless and impulsive with the paprika. So what I’ve learned, and hope to pass on to you is – stop with the paprika. You probably have enough. This lesson is not a metaphor for anything – just stop buying so much paprika. That’s it. Lesson Two (Also From the Kitchen) – Check your labels. Two refrigerated bottles of dark-colored liquid, of similar size, stored near each other in your refrigerator, are not necessarily the same thing. Another way to put this lesson – worcestershire sauce and balsamic vinegar are not interchangeable. This lesson is also probably not a metaphor, but I guess it could be. Lesson Three – Get Rid of At Least 53 Friends. That is, if you’re using “friends” in the fake world of social media, where your list of “friends” can grow ever higher, to the point where you’re not sure how you’ve accumulated so many, not unlike containers of paprika. When your friends seem less like friends and more like paprika, you probably have too many (that’s the title of my next book). Anyway, on New Year’s Eve day I decided to look through my list of Facebook “friends” and see if anyone needed to be dumped. Too many “friends” are like too many of anything – you don’t know where they all came from, they’re not really helping you, and they’re taking up space. So today I’m about 53 “friends” lighter heading into the new year. People who I can’t recall ever meeting, or having any sort of remote connection with, in real life. I figure they won’t notice me cutting them, so they’re gone. People who have more than one Facebook account. It just feels dishonest to say I have 650 friends, when a handful of those are duplicates of one another. In a few cases, I had to guess which “friend” was the real “friend,” but I pretty much based it on which profile photo I liked better. Hopefully it will work out. People who are dead. I know a handful of people, both friends and “friends,” who have died over the past several years. Yet for some reason, they’re still in my “friends” list even though they rarely, if ever, post anymore. I hope to see them again someday, but I doubt if it’ll be on Facebook. People who I have actually met or spoken with in real life, some with significant frequency, but who have turned out to be just nuts. People who post stuff I can’t deal with – because it’s not true, or it’s offensive, or it’s dripping with ignorance – or all three. A few of those people had to go. My guess is they probably won’t notice. To be clear, I don’t have a problem with people who don’t agree with me – I have a lot of non-quotation-mark friends like that. That’s no problem. I do, however, have a problem with people who are crazy, and feel the need to express that craziness in social media. I’m too old, too busy, too something. I don’t need it. OK, there it is. Three of 2018’s most important life lessons – stop with the paprika, check your labels, and use this new year to trim off some of those excess “friends.” You’ll have a much better 2019. Me, and a little guy at our pop-up medical clinic at Acholi Quarter. Excuse the wardrobe malfunction. On Saturday October 13, Loving One by One Ministries will hold its 2nd Annual 5K Walk/Run at the South Coast Botanic Gardens in Palos Verdes. Along with a lot of other Loving One by One fans, I’ll be there with my running shoes on (and other attire as well), completing each one of those 5 K’s. We’re running or (let’s be honest) walking to have fun, and raise funds to further the efforts of the New Hope Medical Centre in Uganda. New Hope Medical Centre (notice how it’s “centre” and not “center”) is the newest venture of Loving One by One Ministries, an organization I’ve been involved with since 2011. In addition to our work in Uganda with orphans and education, we have always been involved in helping people in Ugandan villages and slum areas with some of their basic medical needs. Well, years have passed, and Loving One by One has grown, and now in addition to some of the mobile, pop-up medical clinics we do in some slums and villages, we now have our own permanent medical facility on our land, near the town of Kiwenda about an hour north of Uganda’s capital of Kampala. New Hope Medical Centre, just completed a few months ago, is a lifesaver for the people living in and around the small town of Kiwenda. Most don’t have access to any form of healthcare, so it’s common for small, insignificant medical issues to become life-threatening problems. Accidents, burns, and infections are serious when you are basically living in shacks with dirt floors, and malaria and typhoid are commonplace. Not to mention the types of cancer in Africa that I’ve never heard of here in the U.S. But now with New Hope Medical Centre up and running, the LOBO staff will be able to more efficiently provide the care that is needed in our local community. LOBO’s goal for this 5K is to raise the funding needed to purchase a sonogram machine, and a CBC machine. A sonogram machine is familiar to us; a CBC, or Complete Blood Count Machine, will be used to perform necessary tests on a patient’s blood to come up with a diagnosis – quickly. Until now, we’ve had to put patients in our van and drive to the nearest medical facility that has these capabilities, and more often than not, the machines would be unavailable or not working. Having our own CBC and sonogram machines will enable our clinic to function more efficiently, for the good of our local Kiwenda neighbors. My goal is to raise $1000.00 toward this equipment. If you’d like to participate in this effort with me, here is the link for my Facebook Fundraising account. Just click on it, and you’ll have the opportunity to give whatever you’d like toward this project. This is the link. Click it. Thank you. Next summer, I hope to return to Uganda for the 5th time, and you’ll hear more about that in a few months. But for now, thanks so much for your willingness to help with this project!